June is an exciting month for us! 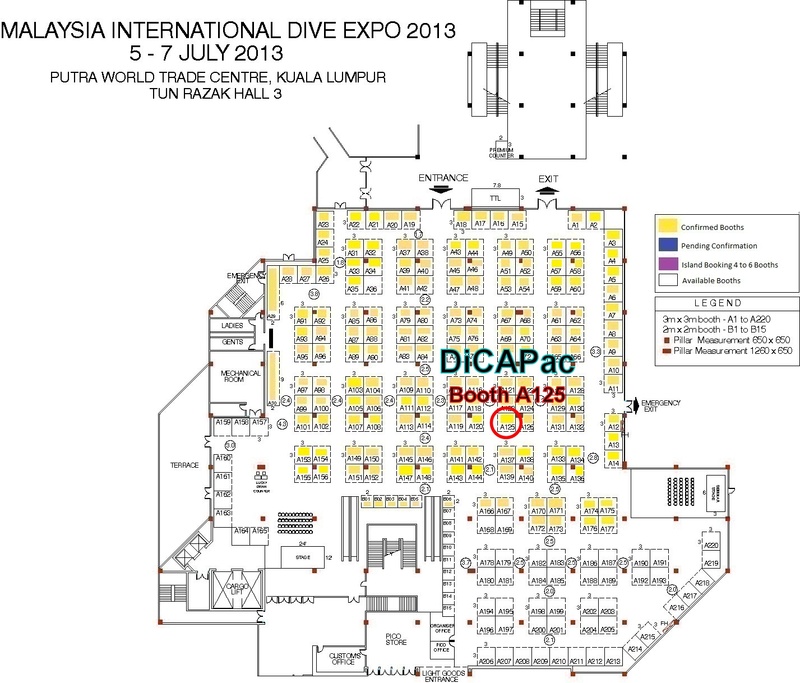 We are going to participate again in Malaysia International Dive Expo (MIDE 2014, Booth A122), and meeting all friends and valued dealers from around the world! If you missed last year MIDE, please come visiting us this year! We like to hear from you on DiCAPac products, and discus on any possible collaboration! After MIDE 2013, DiCAPac has been selling extremely well in Malaysia! We look forward to have more sharing with you on DiCAPac products! 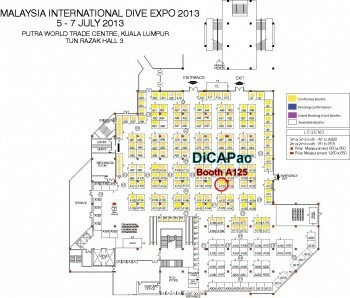 DiCAPac is having a very nice booth at A122 this year. Attached is the official invitation card and map to our booth. 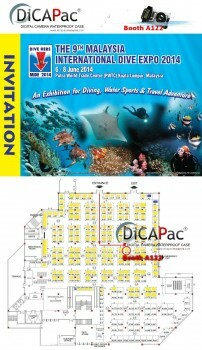 If you are coming, please drop us an email (contact@dicapacmalaysia.com), we look forward to meeting you soon! 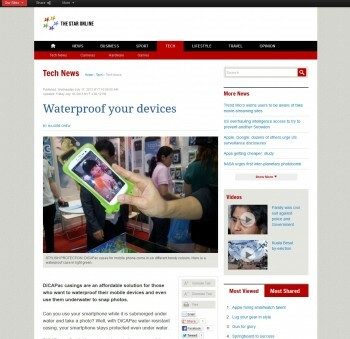 DiCAPac Featured in The Star Tech News! All DiCAPac products come with ONE YEAR ONE TO ONE EXCHANGE WARRANTY! If your camera / phone / iPad…etc. is damaged due to the defect of DiCAPac, we will replace it for you Free of Charge! DiCAPac, a waterproof case with word combining Dica and Pac (pack), is a product of DiCAPac Inc. , which seeks first the safety of digital equipment. 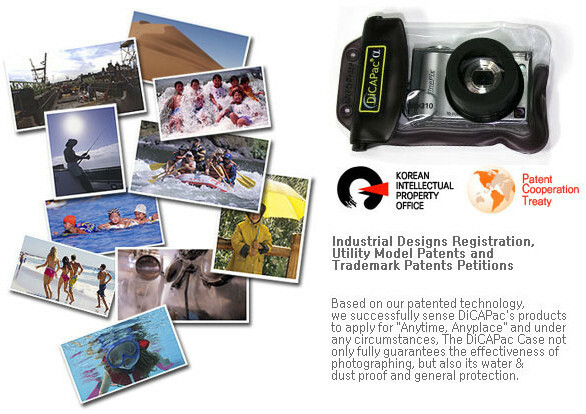 DiCAPac is a global brand that exports to 35 countries and manufactures in Korea. DiCAPac has various model of products for different digital electronic equipment that cater your needs. 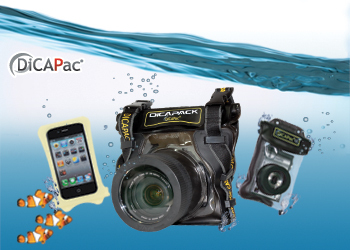 In general, DiCAPac products can be divided into 4 different categories: Digital cameras (Dica Pack), mobile phones (Mobile Pack), camcorders (Cam Pack), and tables (iPad, Galaxy Tab). 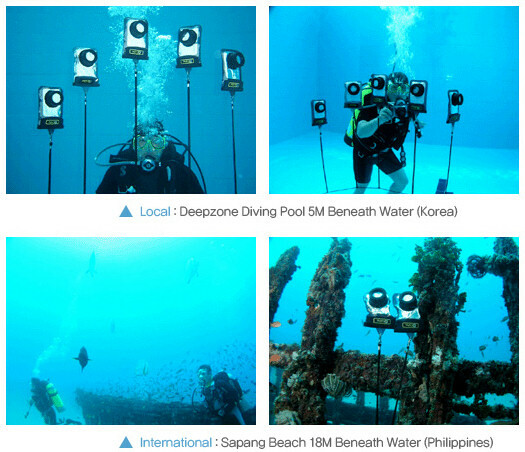 Local : Deepzone Diving Pool 5M Beneath Water (Korea) >> Success! International : Sapang Beach 18M Beneath Water (Philippines) >> Success!! The camera waterproof housing is economical, easy to handle and waterproof. The test results from two separate test programs (the diving pool and at Sapang Beach), certified the DiCAPac case as absolutely perfect for under water performance. 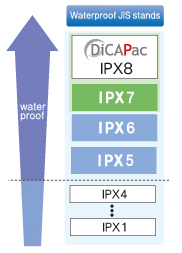 All of DiCAPac’s products have passed Japan’s rigorous JIS IPX8 test and are all waterproof products of grade 8 (the highest grade).